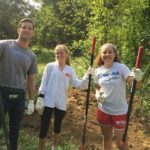 Thanks to all who contributed to this community effort! 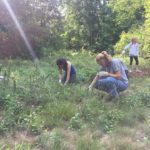 Have you been following the 90mm meadow restoration project, spearheaded by Medford Girl Scout Troop 75198? Read early news on this fantastic project here and here. 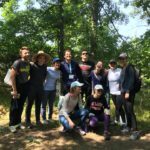 Also, in the summer nature committee member and blogger Laura Costello generated and photo-illustrated detailed field reports here and here. Updates include our official position paper on the proposed hockey rink at the 90mm Meadow site — click here to download 2-page PDF: PositionPaper90mmMeadow. 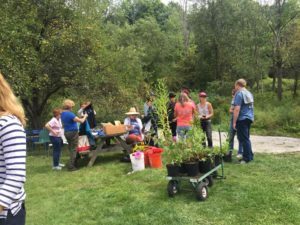 See also a letter from our Executive Director, Ron Morin, outlining concerns about the proposal: [click here for October 2018 letter]. 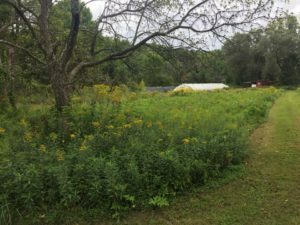 Wicked Local ran a story about plans to build a hockey rink at the 90mm meadow site on October 16, 2018 [click here for article link]. On October 23, Medford Mayor Stephanie M. Burke wrote a letter of support for our stance to Governor Charlie Baker [click here for PDF.] 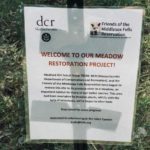 On October 25, the Medford Transcript covered the letter online with a photo of the 90mm meadow site kiosk [click here for article link]. 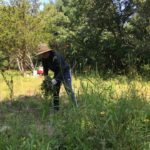 A local Winchester couple started an online Change.org petition to protect the 90mm meadow. The Friends of the Fells asks supporters to please visit the site and sign the petition and share it widely. After reading the main message for supporters, be sure to scroll down the page for updates. 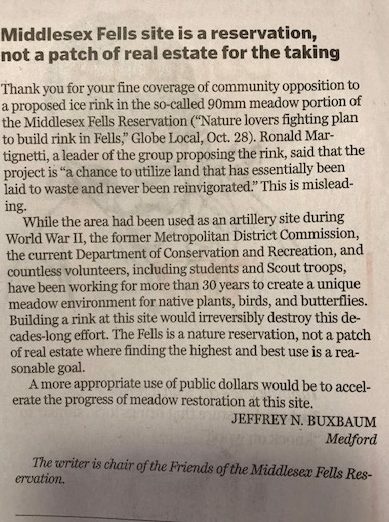 On October 28, the Boston Globe posted an article about how the “Medford Fells ice rink proposal sparks criticism.” [Click here for PDF of Globe article] Subsequently, Friends of the Fells Board Chair Jeff Buxbaum published a letter to the editor in reply, published November 4. 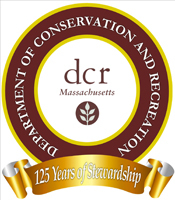 On December 3 Mass Audubon, the Appalachian Mountain Club, Environmental League of Massachusetts, and the Trustees cosign letter to DCR Commissioner Roy opposing the conversion of the 90mm meadow into a hockey rink and parking area [click here for PDF]. 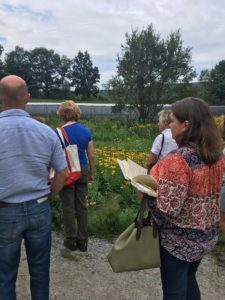 Dec 12: Friends of the Fells issue briefing book on the 90mm meadow site, called “The Butterfly Effect” [click here for link]. Dec 17: Wicked Local runs update about the campaign against the hockey rink proposal – includes link to the briefing book [click here for link]. 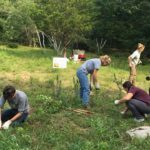 Dec 19: Patch.com reports “DCR Rejects Proposed Middlesex Fells Ice Rink” [click here for link]. 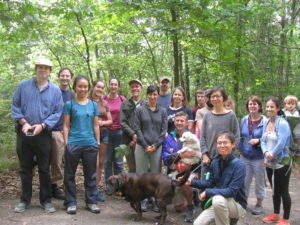 Dec 19: Wicked Local reports “State rejects hockey rink proposal for Middlesex Fells” [click here for link]. 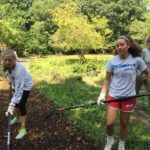 Over the summer the Girl Scouts, DCR, Friends of the Fells, and other community partners remained busy! 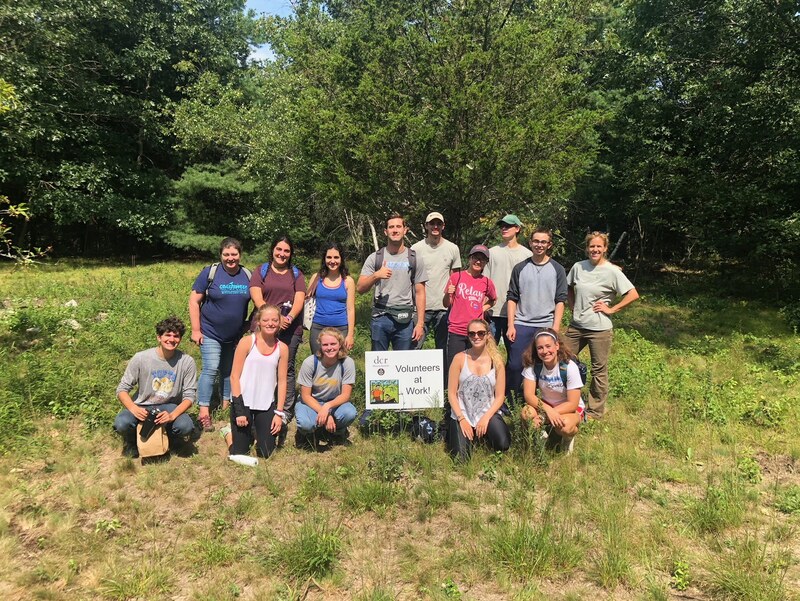 In addition, DCR and Friends of the Fells staff had a great time and learned an incredible amount at our recent meadow workshops (see photos below). 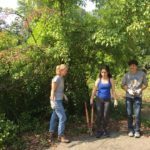 This knowledge will help us support, expand, and mentor in this, and other ecologically vital areas in the Fells. 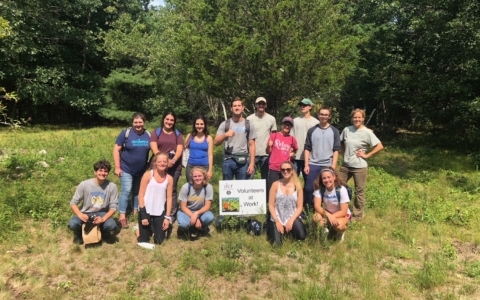 Thanks Helia Native Nursery, Bridghe McCracken, and others who shared their knowledge! 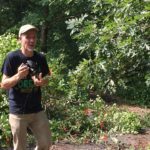 Given all the buzz (okay, pun intended) surrounding the area, Harvard botanist and hike leader Walter Kittredge opted to lead his latest tree hike there. Thanks to everyone who came! 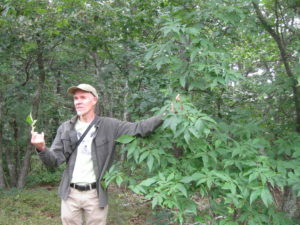 Walter is telling the crowd about this pignut hickory. View Walter’s gorgeous photo album of the area here. Thank you for all your support in this area. 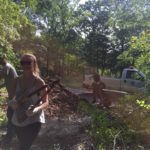 If you’d like to support these types of efforts, click here to donate and here to volunteer.